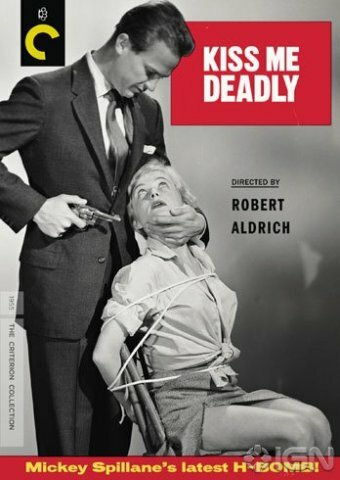 Considered by many to be the quintessential example of film noir, Kiss Me Deadly was released in May of 1955 and continues to stun and entertain audiences to this day. So what is film noir? Film noir is a genre of film that traditionally described detective films of the 40s and 50s. Movies of this genre were generally dark and at times menacing. Kiss Me Deadly certainly fits into that definition well. It was described by film critic J. Hoberman as, “sensationally baroque, eschewing straight exposition for a jarring succession of bizarre images, bravura sound matching, and encoded riddles the likes of which had not been seen in Hollywood since Orson Welles kissed the industry good-bye.” The film was based on the novel of the same name written by Mickey Spillane (one of the best-selling American authors of all-time). The book was one of several Spillane wrote featuring Mike Hammer as the protagonist. I recently purchased the film, which has been released through The Criterion Collection1, at Barnes & Noble since ALL the Criterion films are 50% off! (After buying 9 films, I’ve been told I’m not allowed to go in there with money while the sale is still going on…). Kiss Me Deadly opens with a woman’s bare feet running on a street accompanied by sounds of her heavy breathing. She tries desperately to get a passing car to stop (we assume so she can hitch a ride, although it should be noted she is wearing a trench coat… and nothing else). The daunting music quickly makes you aware that there’s something bad about this woman. The woman, Christina Bailey (which was Cloris Leachman’s first significant role) is eventually picked up by Mike Hammer (Ralph Meeker) not out of the kindness of his heart, nor to avoid running her over, but probably to prevent his car from being damaged. Bailey turns out to be an escaped patient of a mental asylum, which doesn’t seem to bother the unshakable Hammer. The film establishes an air of mystery from the start as Christina offers little in the realm of information to Hammer. The two are stopped on the road by what appears to be a bunch of legs with nice pants and shoes. This is very characteristic of the film; many faces are kept from view for the sake of mystery (or just to make you mad). This is the case in one of the most memorable scenes in the film where Bailey is tortured. All we see is her dangling legs and her loud, high-pitched screams (the rest is left to your imagination). The most fascinating thing about the film to me is the main character himself: Mike Hammer. Hammer always looks like he knows what’s going on and never seems to be surprised by anything… seriously; I don’t think he is capable of being surprised. He epitomizes the badass attitude exhibiting no emotion and delivering each line as if it were an insult. He looks at everyone, even his “friends,” with an expression that says, “I really want to beat you up, so don’t try me.” If Hammer wants something from someone, he will literally squeeze it out of them (as he does when he slams a drawer on a man’s hand… and keeps on pushing it for a good 10-12 seconds). “Hammer time” is what I would use to describe what starts when someone messes with him. He beats the heck out of plenty of guys. My favorite thing about Hammer though is how he gets his information. He’ll barge into someone’s room ask a question, get an answer (or maybe they don’t have one), and then turn around and leave without saying a word. I lost count how many times he did this, and it almost became a running joke for me (I wonder how long he’ll stay in this room before he turns around and walks away). I don’t think he ever uses the words, “thanks” or “good-bye,” but that’s Hammer’s style. The film has a great deal of innuendo and sexual undertones, or more accurately, overtones, as they are anything but subtle. Hammer flirts with women like he’s mad at them, and the women deliver some of the most risqué lines I’ve ever heard as if they’re trying to sell something. Hammer fits the mold of a “playa” as he goes from woman to woman promising nothing and taking what he wants. 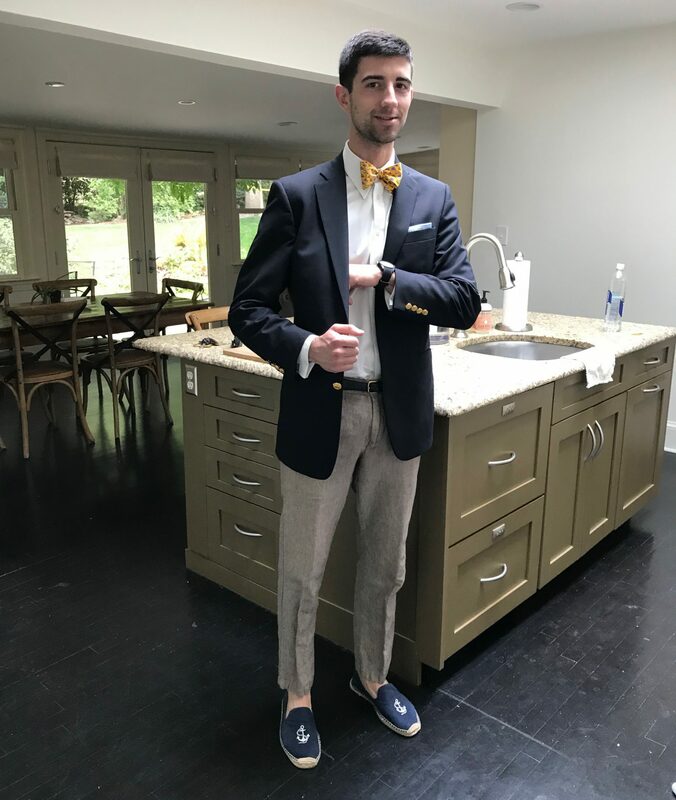 Great review, and great blog! I’m really glad you’re doing this. I’ve never seen Kiss Me Deadly, and I’ve just added it to my netflix queue.